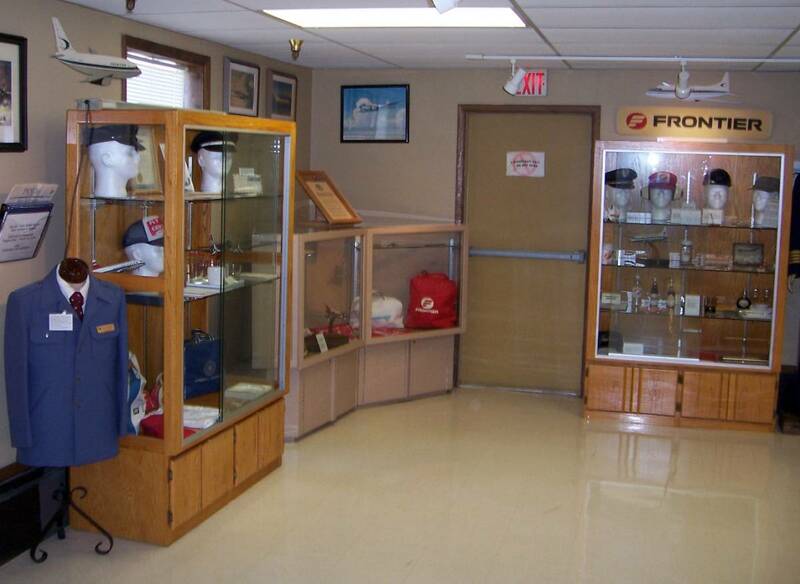 THE DISPLAY AREA IS IN THE NORTHWEST CORNER OF THE HANGAR. 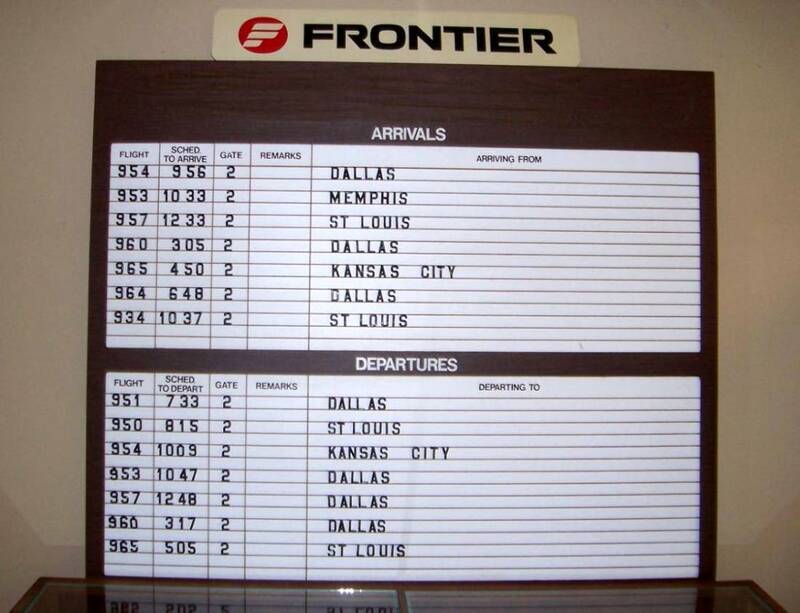 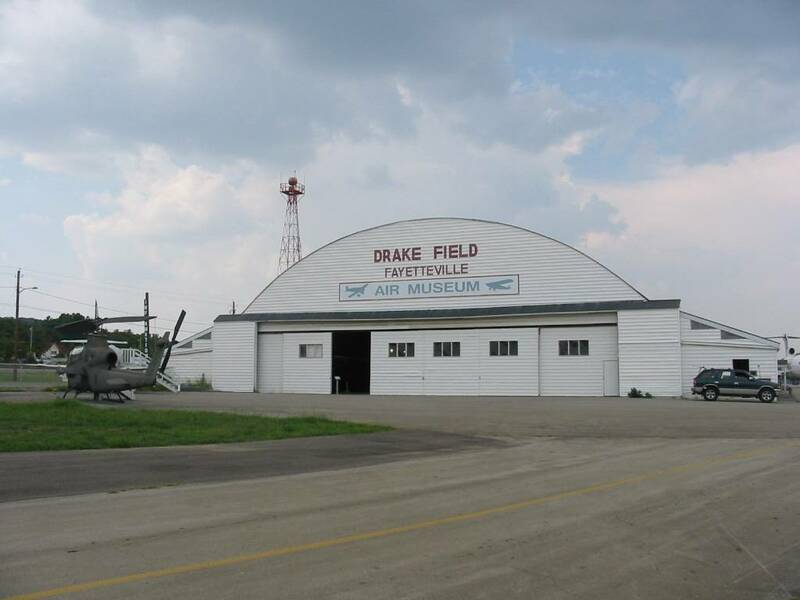 The same year, February 1st, Frontier dropped service to Fayetteville. 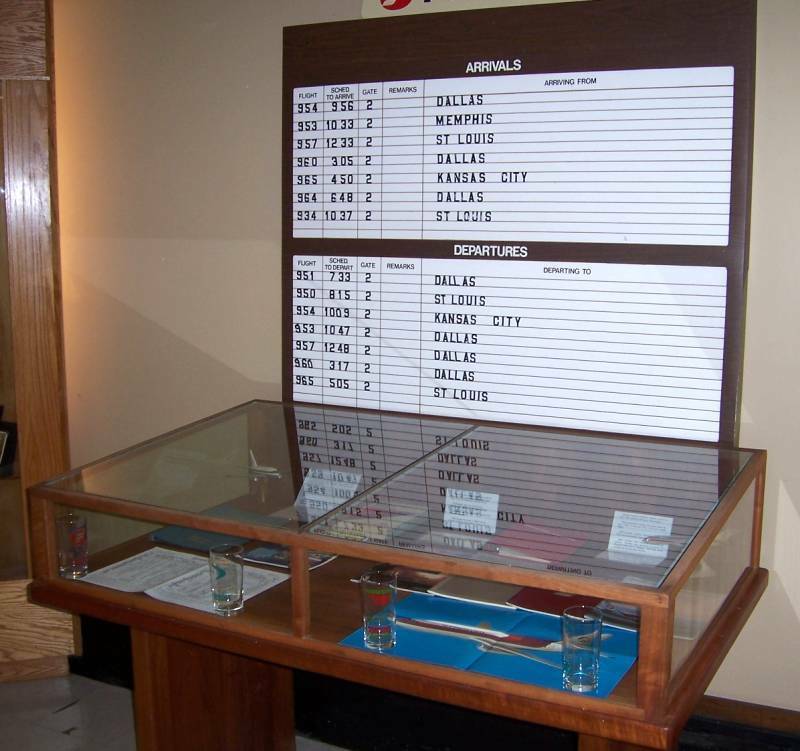 The exhibit was assembled in February, 2004, by Jake LAMKINS. 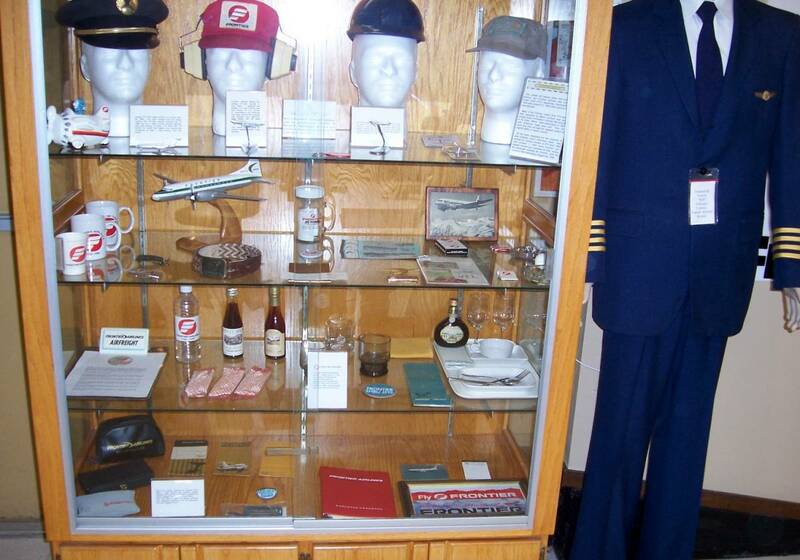 The items are mostly from his collection. 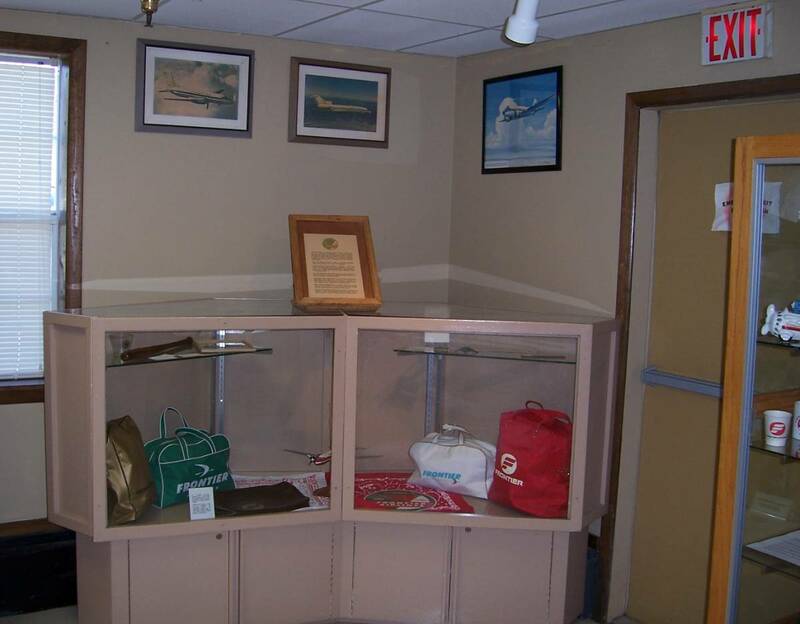 Bob Erdmann, Don Enos, Mrs. Jim Ashley, Jeanne Palmquist Wolf and Judi Fenton Plumer. 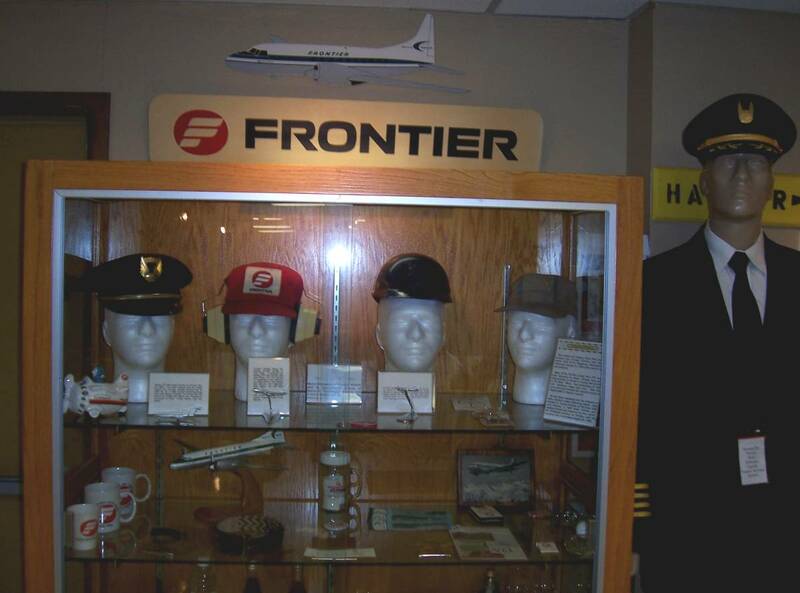 Judy Hammond, the museum director in 2004, was very helpful with the project. 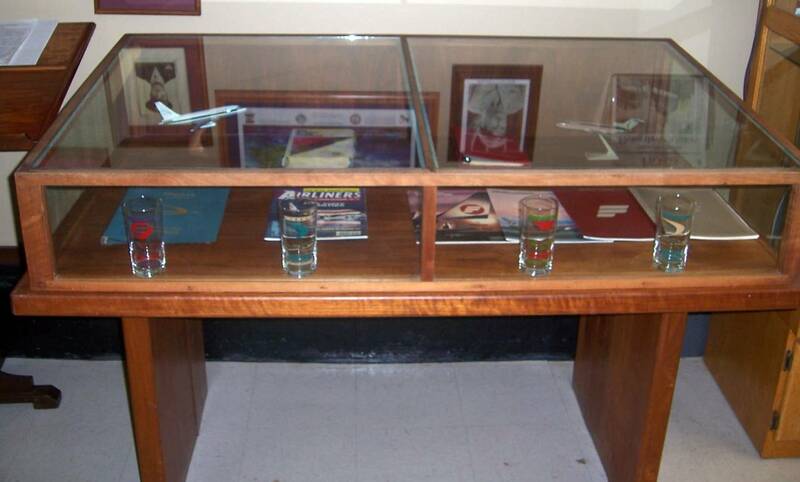 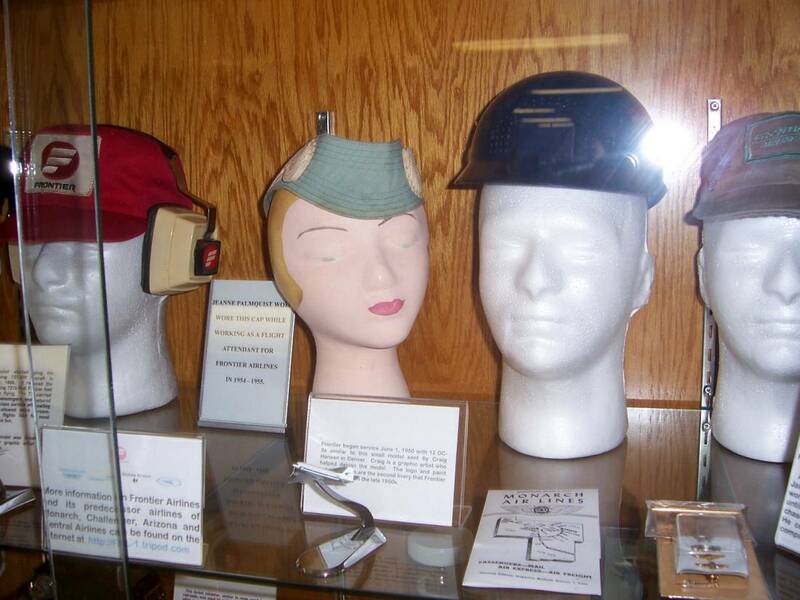 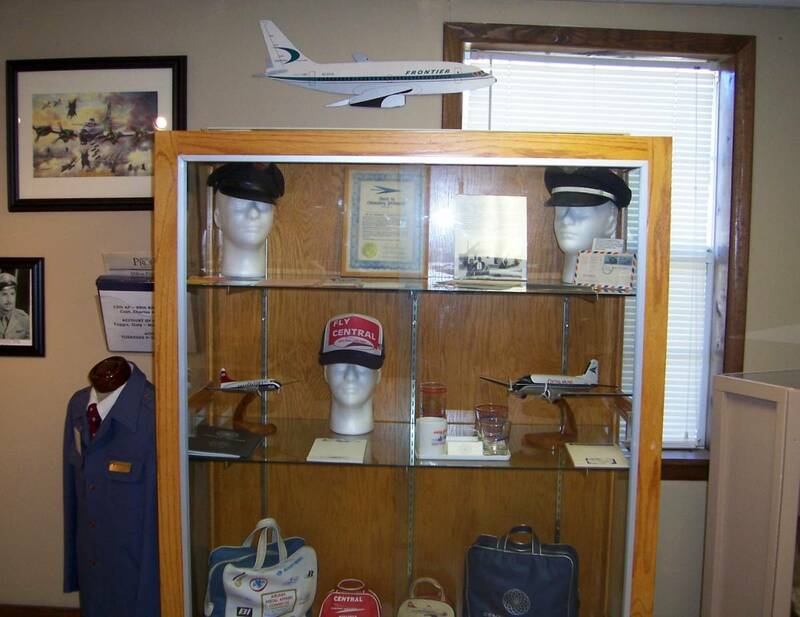 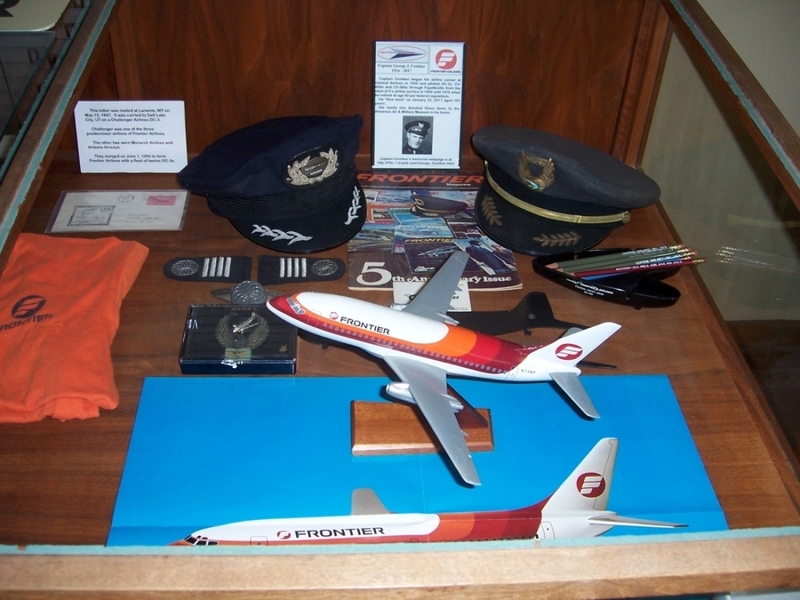 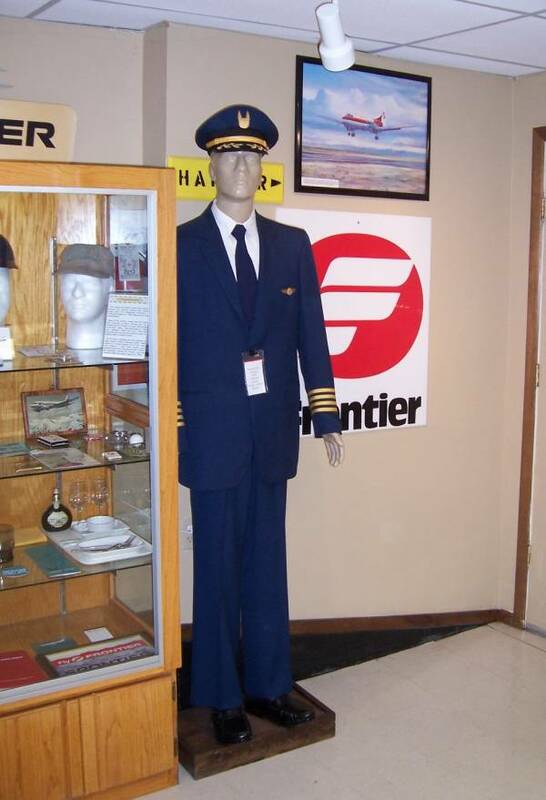 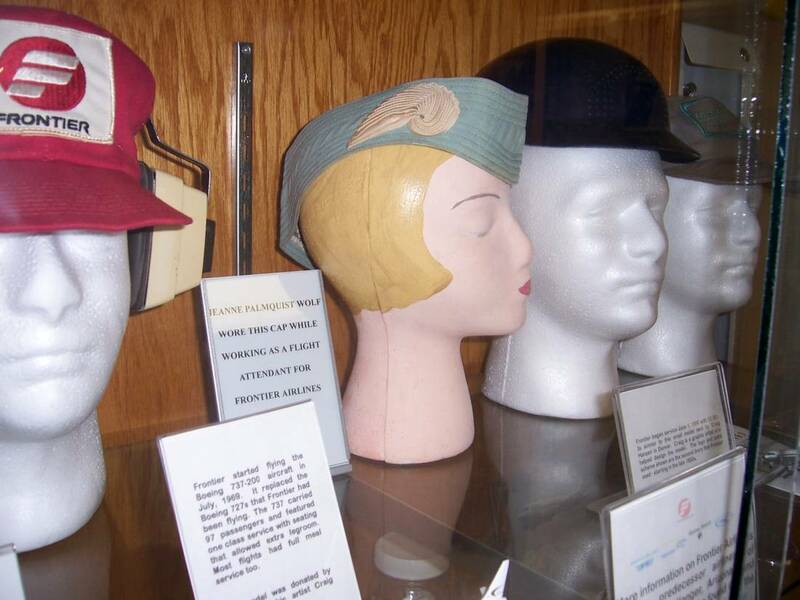 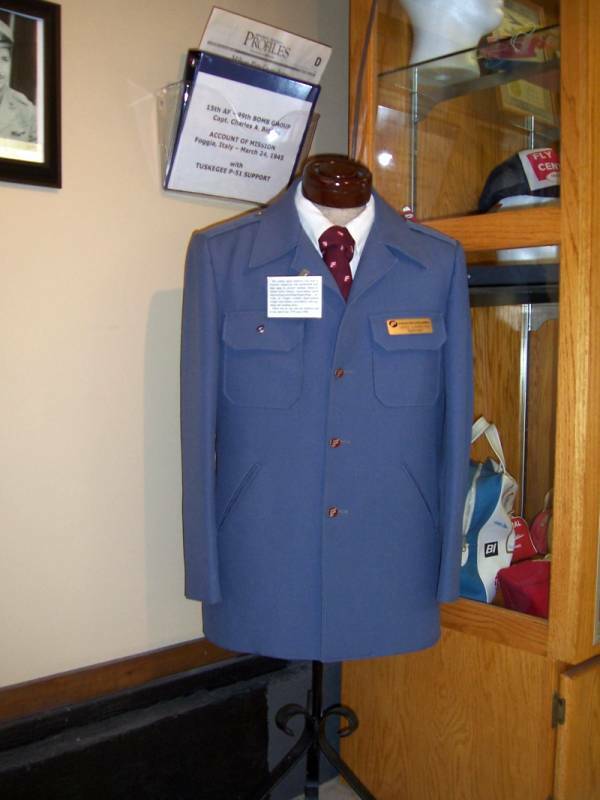 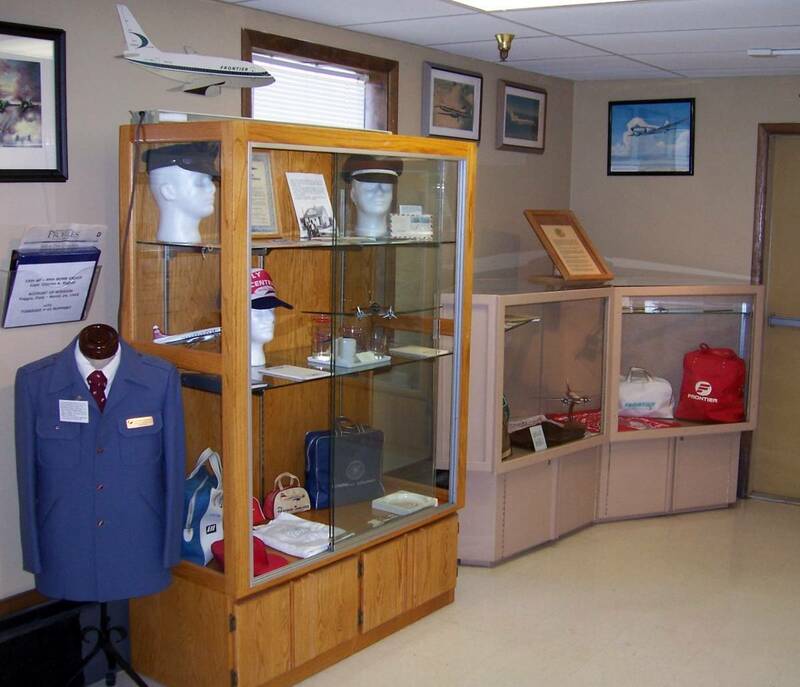 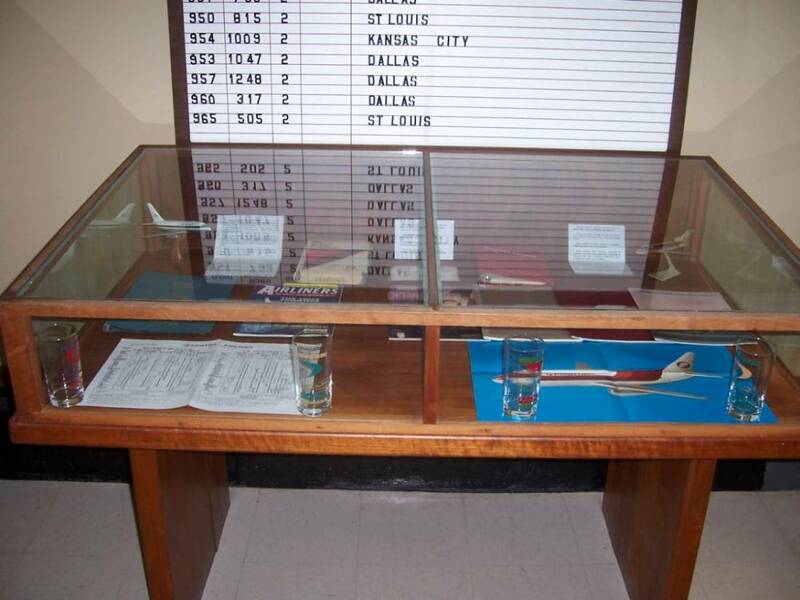 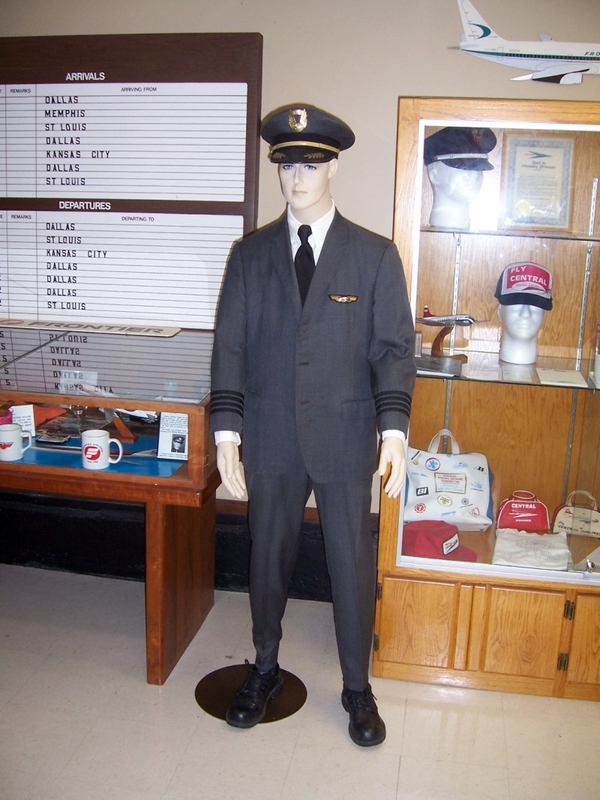 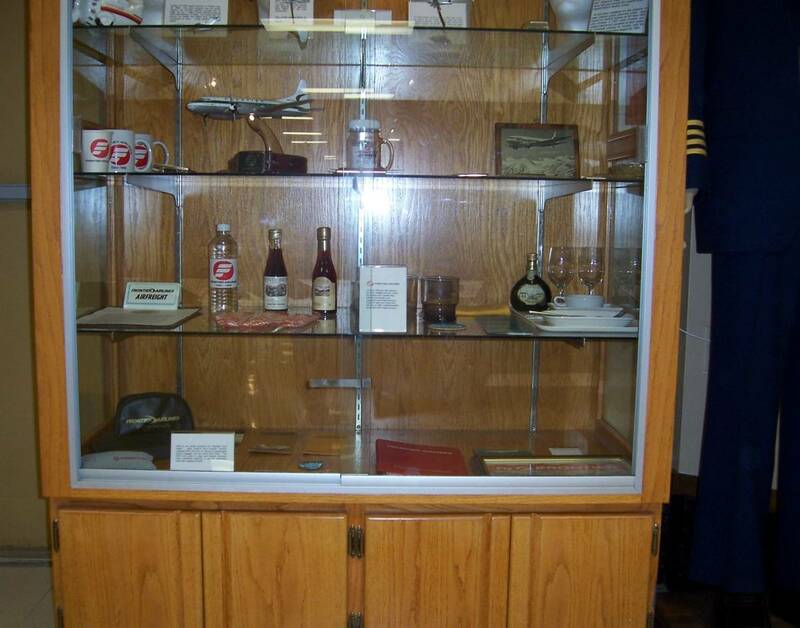 Museum executive director Warren Jones got two additional display cases for us in August, 2013. 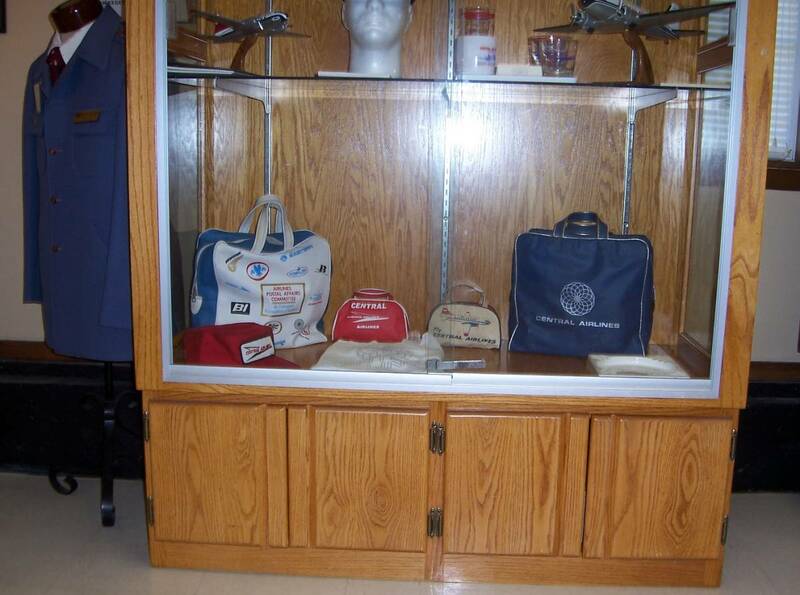 A fourth display case was donated by Hugh Brewer in Mar 2016 which I was allowed to use by Sally Ebbrecht. 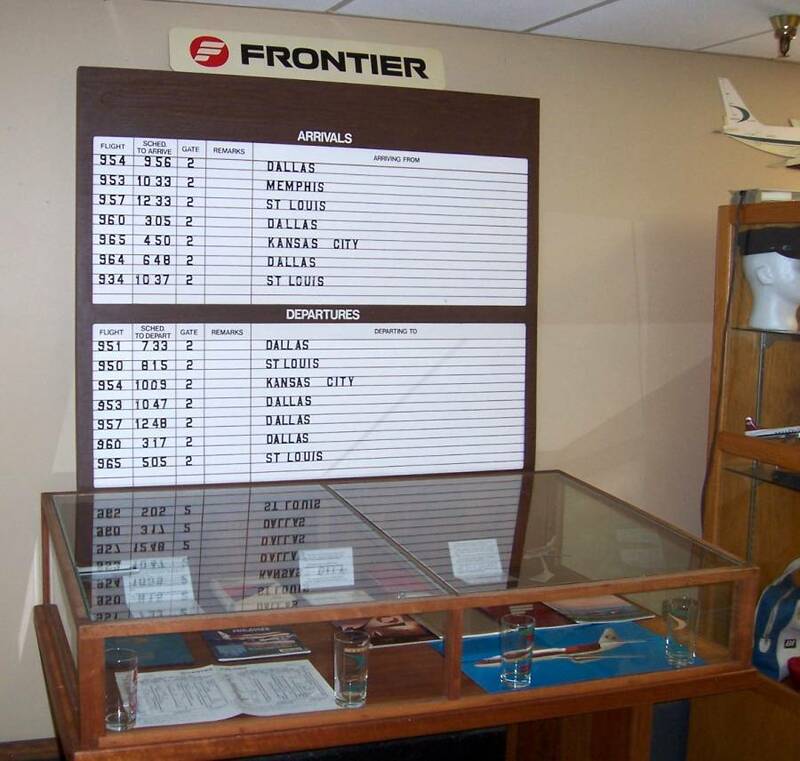 The arrival/departure board was added May 6, 2016. 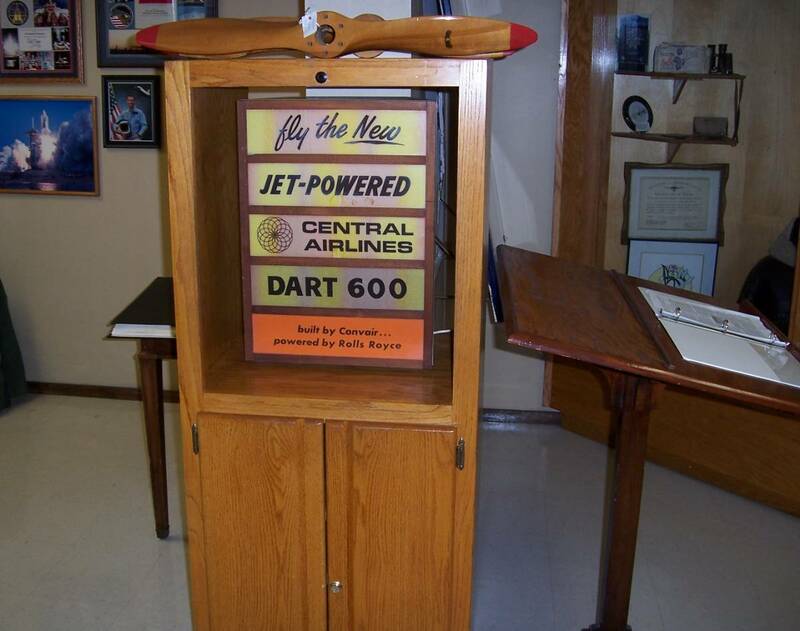 It was donated by Ralph Beecham and was mounted on the wall by Jeff Gates. 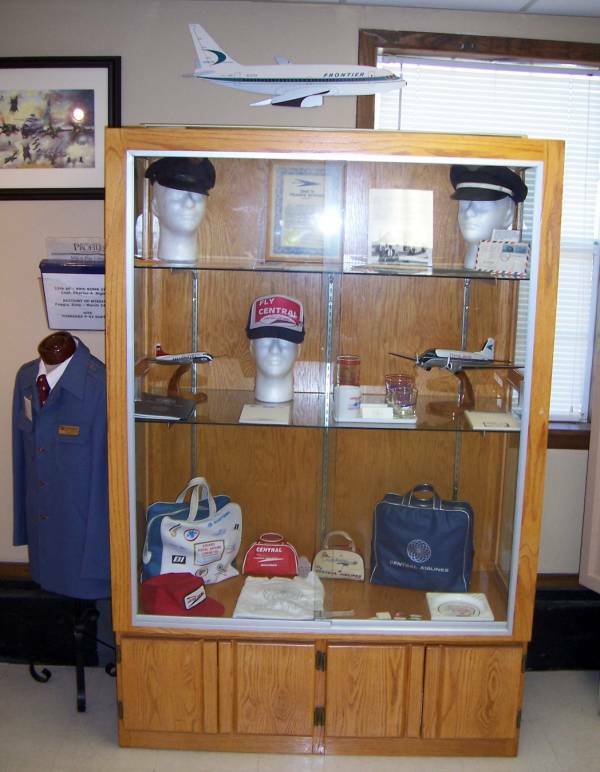 The George Ceshker collection was sent by Greg Ceshker in April 2017. 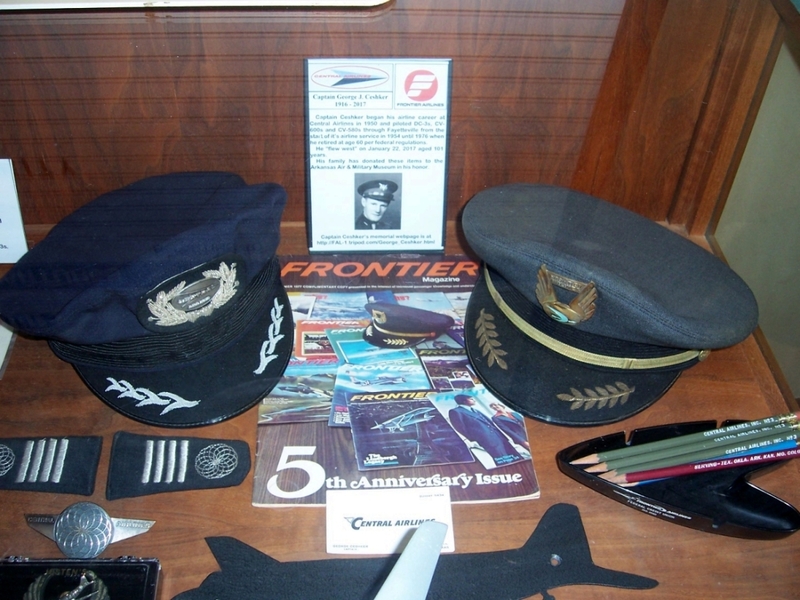 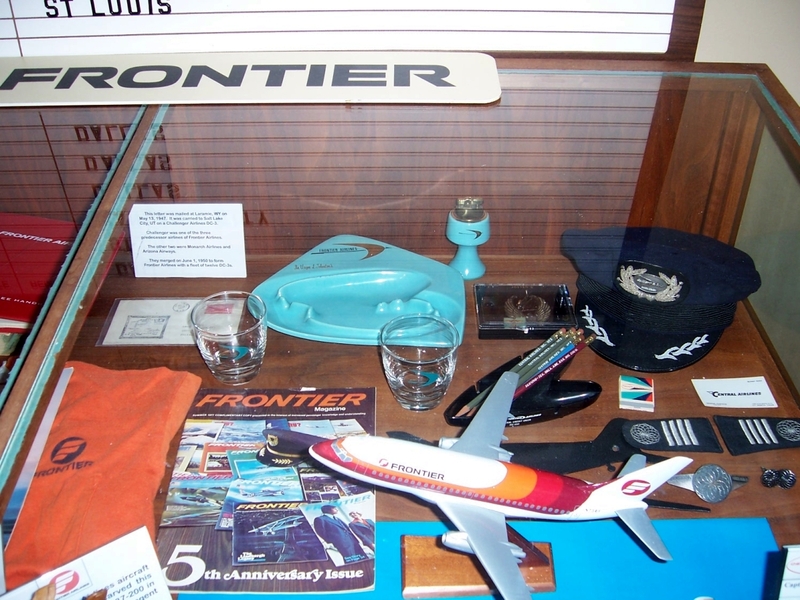 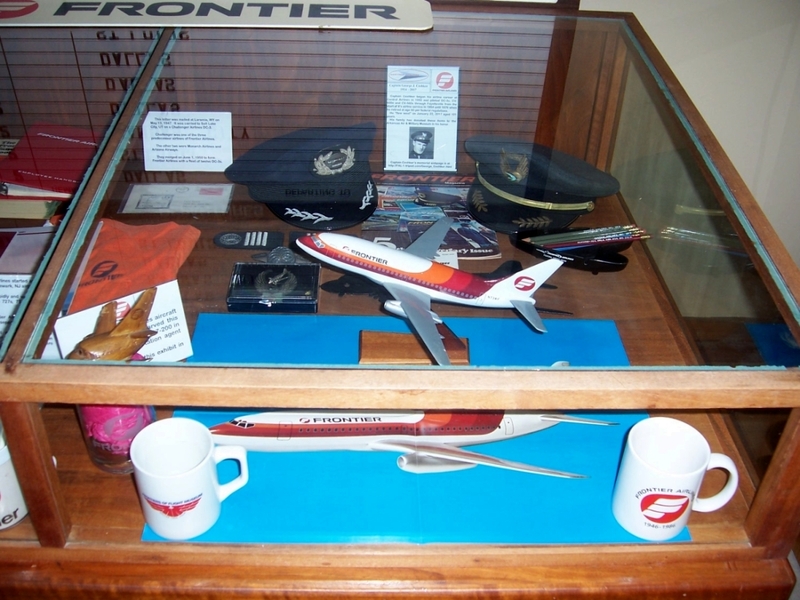 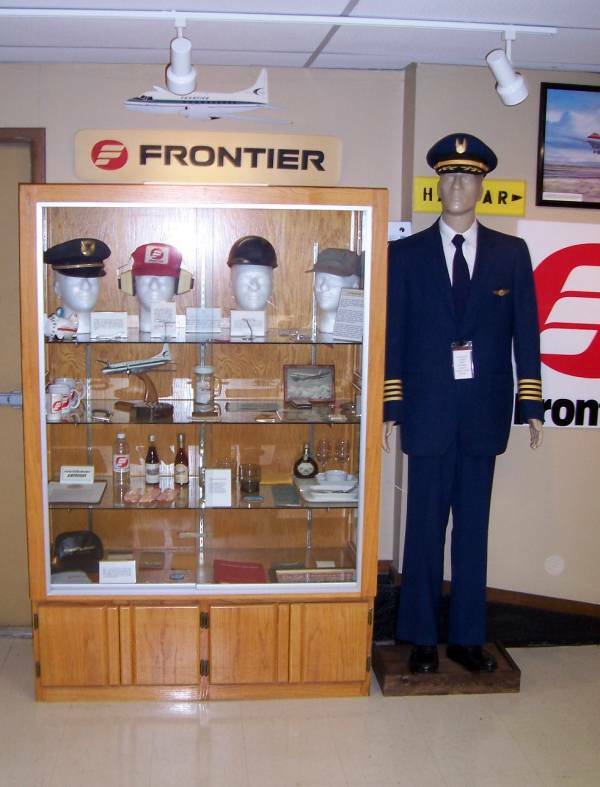 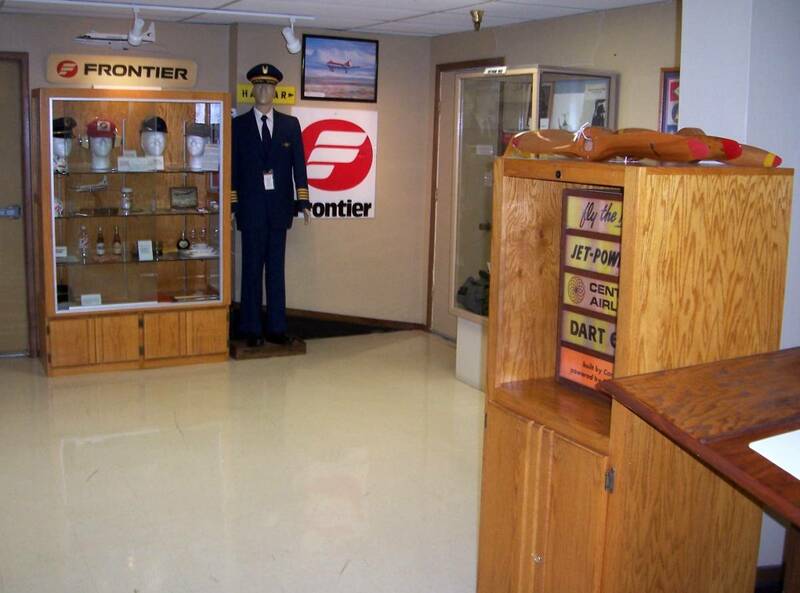 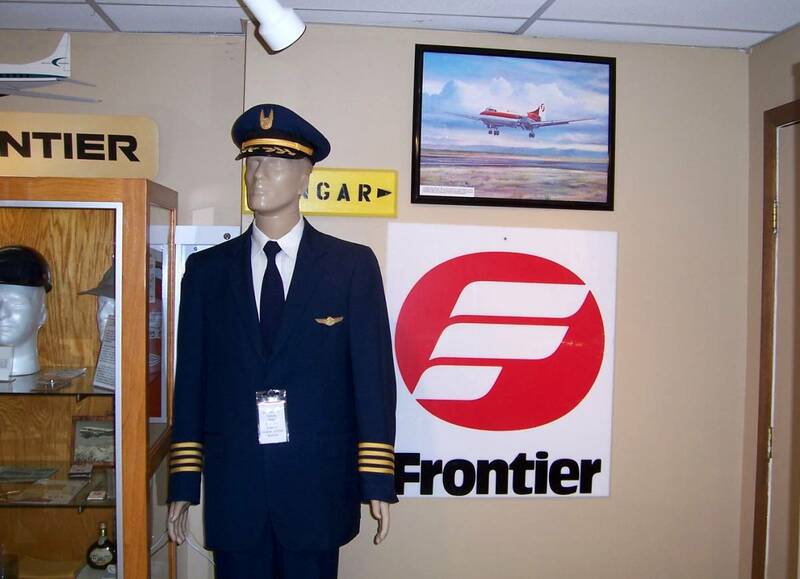 Many thanks to everyone for their help and donations of Frontier memorabilia.